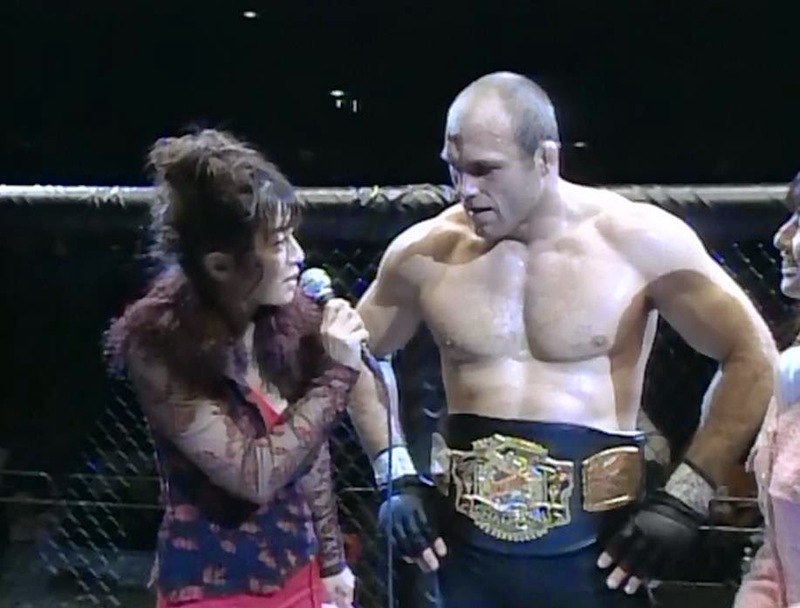 Randy Couture won the first of his three UFC heavyweight titles at UFC Ultimate Japan on Dec. 21, 1997, at Yokohama Arena. Couture, who had stopped Vitor Belfort two months earlier, won a 21-minute battle over champion Maurice Smith to capture the crown. Smith had won the title from Mark Coleman on the strength of his kickboxing, but Couture neutralized his attack with the skills he honed as an All-American wrestler at Oklahoma State University. Two of the judges ruled in Couture’s favor, while the third judge called the fight a draw. Frank Shamrock became the UFC’s first middleweight champion (under 200 pounds). He demolished Kevin Jackson in 16 seconds with an armbar. Randy Couture overcame the undefeated Vitor Belfort in the superfight at UFC 15: Collision Course. The pay-per-view took place on Oct. 17, 1997, at the Hollywood Casino in Bay St. Louis, Miss. Couture capitalized on the momentum he built by winning the UFC 13 heavyweight tournament, as he scored a TKO win over Belfort in 8:16. Belfort had won his first four MMA fights and looked untouchable in doing so. Mark Kerr won the heavyweight tournament at UFC 15. He knocked out Greg Stott with a knee strike in just 19 seconds and polished off Dwayne Cason in 53 seconds. Maurice Smith was scheduled to defend his UFC heavyweight title against Dan Severn, but Severn was sidelined with a broken hand. UFC Ultimate Ultimate 95 - Dec. 16, 1995 - Mammoth Gardens - Denver, Colo. 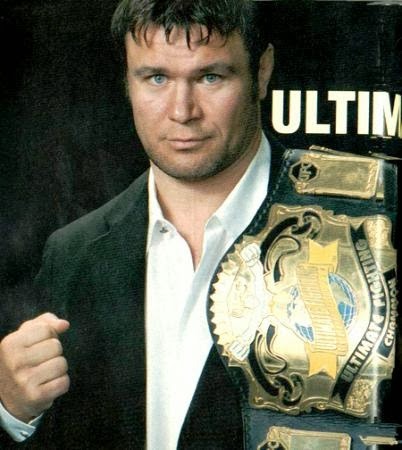 Ultimate Ultimate 95 was the UFC’s first attempt at a year-end All-Star show. It took place in Denver, where it all began two years earlier. In alternate fights before the main draw, Joe “The Ghetto Man” Charles beat Scott Bessac; and Mark Hall defeated Trent Jenkins. Both winners used armlocks to get submissions. Bruce Beck, Jeff Blatnick and Don "The Dragon" Wilson are calling the fights, and they plugged Wilson's latest movie, "Night Hunter." The winner gets a record $150,000, and there's an online chat on CompuServe. Our ring announcer is Rich "The G-Man" Goins. Here we go! Abbott was the runner-up at UFC 6, while Omaha (Neb.) police officer Jennum surprised everyone by winning UFC 3.Abbott has a 55-pound weight advantage: 250 to 195. Abbott crushes Jennum's neck against the fence, forcing a tap out at 1:14. Varelans was the runner-up in UFC 7, while Severn won UFC 5. Varleans is 12 years younger and weighs 62 pounds more: 300 to 238. Severn immediately takes Varelans down and works for an arm triangle choke. Varelans fights it but taps out at the 1-minute mark.